Yes, I would like to order a bulk subscription to Gather. I understand my magazines will all ship to one address. Your email address will not be shared with outside parties and is required for access to the digital edition. 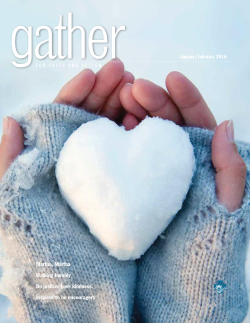 I would like to support the publishing mission of Gather magazine by making an additional donation today.